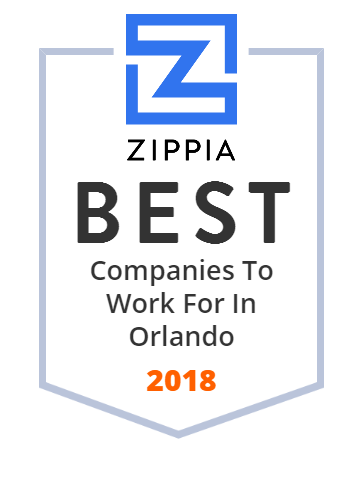 We hand-curated a list of the best companies to work for headquartered in and around Orlando, FL using data on salaries, company financial health, and employee diversity. Greensky is a financial technology company that provides loans to customers in its dealer, retailer and merchant networks in all 50 states. The company focuses on paperless, real time "apply and buy" technology and is one of the fastest growing financial technology, ("FinTech") companies in the country. Greensky is based in Atlanta, Georgia. Immune Therapeutics Inc. (IMUN) is a specialty pharmaceutical company that is focused on commercializing its patented therapies that are used to activate and re-balance the body's immune system. Company's technology platform is built on two different immunotherapies, Low Dose Naltrexone (LDN) and Methionine-Enkephalin (MENK). Its therapies are designed to contribute to the treatment of Cancers, HIV, Autoimmune Diseases, inflammatory conditions and other chronic infectious diseases. Immune Therapeutics, Inc. is headquartered in Orlando, Florida. Margaritaville delivers a distinctive dining, entertainment, and shopping experience with exceptional service customers around the world. It features destination resorts/hotels across the Southeast United States and Caribbean, casinos, vacations clubs, island-inspired apparel stores, food and beverage locations including signature concepts such as Margaritaville Restaurant, award-winning JWB Prime Steak and Seafood, and 5 o'Clock Somewhere Bar & Grill and LandShark Bar & Grill. Margaritaville is not just a destination, it is a state of mind since 1977. Since Buca di Beppo opened its doors in 1993, it has grown to 100 locations worldwide. Buca di Beppo's offers authentic Italian cuisine including appetizers, salads, pastas, pizzas, entrees, desserts, beer and fine wine in an eclectic, vintage setting. Its traditional style dishes are inspired by Northern and Southern Italian cuisine enjoyed for generations in villages throughout Italy. Buca di Beppo has locations across the nation as well as in the United Kingdom and United Arab Emirates. Machinery & Parts Export Inc. is a full-service procurement company and distributorship that specializes in agricultural, industrial, hotel, construction and truck equipment, and spare parts. Its team has great experience in the industry and serve customers in all aspects of Sales, Consulting, Contract & Bid Negotiation, Purchasing, and Order Fulfillment. Services include Purchasing & Procurement of Engineered Products; Import Supervision & Consulting; Account Development; Complete After Sales Support / Servicing; Strategic Planning, etc. Headquarted in Orlando , FL, with an additional branch in Jamaica. Founded in 2006, Triad Isotopes is the second-largest radiopharmaceutical network in the nation. It specializes exclusively in nuclear pharmacy and provides Nuclear Medicine products that provide safe, painless and cost-effective techniques to image the body and treat disease. Triad Isotopes' network of pharmacies service national Group Purchasing Organizations and regional healthcare systems, as well as stand-alone clinics and hospitals. Triad Isotopes is located in 60 locations all across the United States.